Copenhagen has always been famous for its culture. Now it is home to the 'world's best restaurant' too. Copenhagen is on a roll. In a city more famous for art and design, food has suddenly come to the fore. Last month, Noma, one of its many top-end restaurants, was deemed "the best in the world". At the same time, the subtle and elegant paintings of the city's best loved artist, Christen Købke, have been given star billing in a major exhibition at the National Gallery in London, reminding us that Copenhagen's museums and galleries have some of the best art collections in Europe. 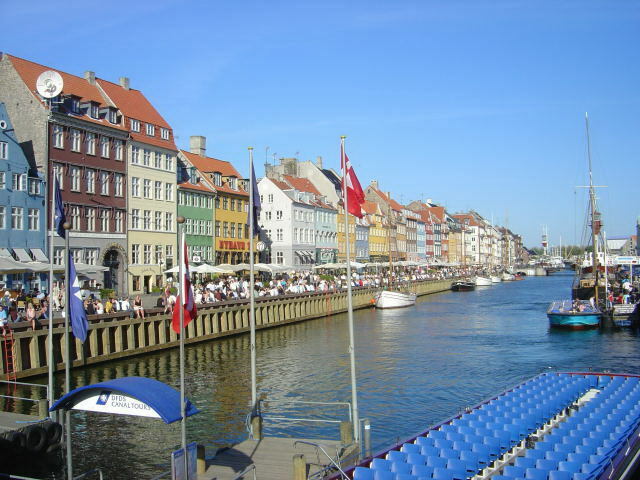 During May and June – while Denmark's capital is enjoying long, light spring evenings – is the time to check them out. For a really lively visit, make sure your trip coincides with the biggest festival of the year, the Whitsun Carnival, which takes place from May 21-23, with arts performances, parades and open-air music and markets. There is just one warning note I should sound for potential visitors. If you are hoping to see Edvard Eriksen's bronze of the Little Mermaid, postpone your visit. She is on holiday, and has travelled to China to be part of the Danish pavilion at Expo 2010 in Shanghai until October 31. But, frankly, you won't be missing much. When she is at home, she looks rather lost on a rock on a windswept harbour, and is a disappointment to many. 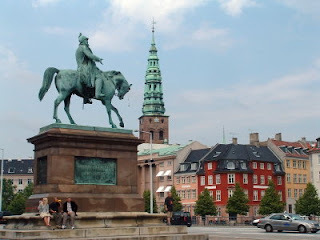 Copenhagen has far more interesting things to see and do. Plane from several UK airports. SAS (www.flysas.com), British Airways (www.ba.com – though avoid proposed strikes covering the period May 18-June 9) and easyJet (www.easyjet.com) all have regular services, with return flights from about £100. For an overview of routes and fare comparisons, see www.skyscanner.net or www.travelsupermarket.com It's an easy 20-minute ride on the metro from the airport to the city centre. The Admiral Hotel (Toldbodgade 24-28, 1253, 0045 3374 1414, www.admiralhotel.dk) – an inventive conversion of an 18th-century dockside warehouse, where double rooms cost from about £150 a night. If you are splashing out, the grandest option is the Hotel d'Angleterre on Kongens Nytrov (0045 3312 0095, www.remmen.dk), where elegantly furnished doubles cost from £235. The Carlton Hotel Guldsmeden (Vesterbrogade 66, 0045 3322 1500, www.hotelguldsmeden.dk), a few minutes' walk from the Tivoli Gardens, has clean, smart doubles from about £105. Orientating yourself with a circular walk. Start in the central Kongens Nytorv and Nyhavn (canal-side) area, and stroll past the royal palaces of the Amalienborg, the star-shaped citadel (Kastellet), constructed in the 17th century. Return through the gardens of the Rosenborg area. The Traktørstedet Cafe (0045 3315 7620), in the gardens of Rosenborg Castle (www.rosenborgslot.dk), near the city centre. The dining room is very compact, but there are shaded tables outside in summer. 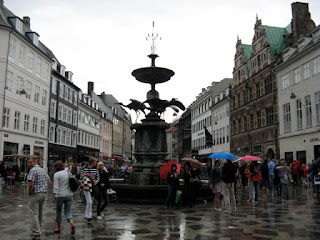 It serves a short menu of soups and Danish specialities in a convivial atmosphere. On a cultural extravaganza. The National Gallery of Denmark, known locally as the Statens Museum for Kunst (www.smk.dk), has an excellent and representative art collection, including major works by Titian, Mantegna, Rubens and Matisse. Even more enjoyable, in my view – because of the insight it gives into Danish Golden Age painting, the flourishing of a subtle, naturalistic style in the first half of the 19th century – is the Hirschsprungske Collection (www.hirschsprung.dk) On the edge of the gardens behind the National Gallery, the villa-style gallery, reminiscent of the Frick Collection in New York, shows the art collection of the 19th-century tobacco magnate Heinrich Hirschsprung. As well as many paintings from the Golden Age, there are key works from later in the century by Vilhelm Hammershøi. Next on the list is the Ny Carlsberg Glyptotek (www.glyptoteket.dk), which houses an outstanding collection of classical sculpture and paintings amassed by Carl Jacobsen of the Carlsberg brewing family. And if all this culture is too much for you, there is always Tivoli (www.tivoli.dk), the amusement park that has been going strong since it first opened in 1843. The best restaurant in the world (according to the 2010 San Pellegrino World's 50 Best Restaurants Awards). Noma (www.noma.dk) is run by 32-year-old Rene Redzepi, and last month it pushed El Bulli off its pedestal to take the top spot. The seven-course evening menu – which might include dried scallops and watercress; salsify and truffle; ox cheek and endive; and cooked barley and birch syrup – costs £120. If that is too much, or you can't get a table, Copenhagen has a huge choice of high-class places to eat. Eleven other restaurants have Michelin stars this year (full list on the tourist board website below), one of which is The Paul (www.thepaul.dk) in the Tivoli gardens (menus from 700DK/£80). It prides itself on using culinary inspiration from all over the world. Out and about. The long, light summer evenings lend a special atmosphere to Copenhagen nightlife. 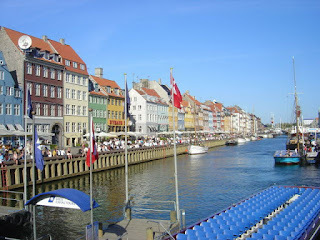 The hub of activity is the waterfront canal area of Nyhavn, and there are plenty of bars here. You might want to try some of the local beer, which has a growing reputation outside Copenhagen. It's called Carlsberg. 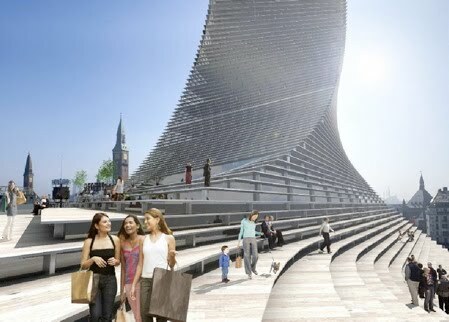 Alternatively, you could head for the opera house – Henning Larsen's landmark 2005 building on dockside opposite the Admiral Hotel (www.kglteater.dk) Or take in one of the many concerts and recitals held in the city's churches (some are free) – check with the local tourist office on arrival for a programme. On a trip out of town. There is more than enough to keep you going in Copenhagen for several days, but one day trip definitely worth doing is the short train ride out to Fredericksborg Castle (www.frederiksborgmuseet.dk) This is Denmark's equivalent of Fontainebleau – a magnificent royal hunting lodge on the grandest of scales, first laid out in the 16th-century, then transformed in the 17th, and restored after a fire in the 19th. Among the highlights is the sumptuous chapel of 1608. There are also baroque and landscape gardens to explore. Have lunch at Leonora, on the edge of the castle precincts, where salads based around, say prawns, smoked salmon, curried herring, meatballs and cheese cost from about £15.